Bella Caledonia brings you a Christmas Cracker for your iTunes stocking, a song for our times, a Yuletide ditty with more sparkle than a Priti Patel night out in Tel Aviv. Penned & Produced by Bonnie Prince Bob – the mischievous auteur of cult satirical hits James Frances Murphy: Saviour of the Union & Jeremy Bernard Corbyn: What Was Done – ‘Will You Last Till Christmas?’ takes us on bit-part tour of the P.M.’s less than prestigious premiership. 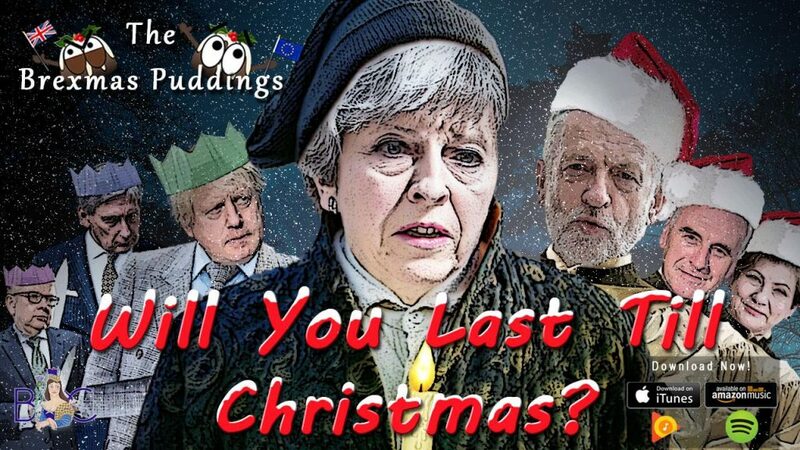 ‘Will You Last till Christmas?’ follows Theresa May’s journey from Election epiphany to tragic failure, surrounded by backstabbers & wrecked on Buckfast as she’s left Home Alone at No 10. It’s more Bad Santa than Mariah Carey, but ‘Will You Last Till Christmas?’ at Number One – is the Christmas present we all deserve! What could be more festive than knocking the Tories off the top of the Christmas Tree? Sadly she will, unless her health buckles, because no one wants the job until the leaving is done and THE COLONEL takes over. The Tories’ poll ratings are still pretty high. Almost as funny as the real thing ! In light of the outbreak mass ignorance and delusion among the brexiteers et al in England and elsewhere. Ireland along with our EU partners will be sponsoring a mass education program to impart some sense of reality among those who are absolutely clueless of their own history. Just keep an eye out for a big red bus in a British town near you. Quite a catchy wee tune.